I’ve been to Natural Bridge three times now. I remember vacationing there as a child. It was one of my favorite family vacations. Then, in 2010, I went with a work group as a team-building offsite. That was a totally different experience; part pleasure, part business. We hired a nature photographer to teach us a few tricks and then we set out on a hike. The setting was so beautiful that I wanted to go back with my family. June, 2012 – now we are. My husband, 11-year-old daughter, and mother packed up the RV and travelled down to Slade, KY for a weekend of nature. It’s only a 2-1/2 hour drive from Cincinnati so we decided to bring the dog. 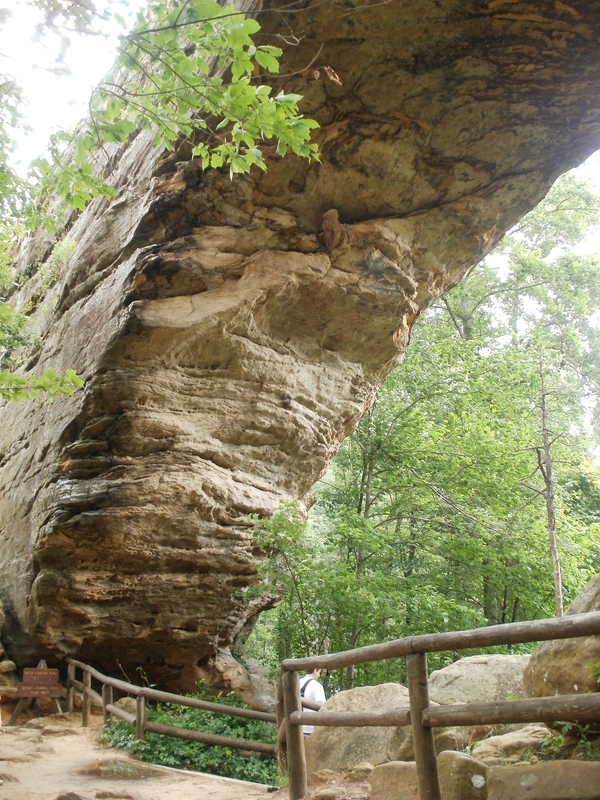 Things to know about Natural Bridge and Slade, KY: there’s precious little cellphone service. But there are plenty of snakes. I have SERIOUSLY got to explore more of the United States! Me, too! And that holds true for anyplace in the world, not just Kentucky. That looks really neat. We’ll have to check it out next time we’re in the area. But about those snakes… any chance they hibernate?